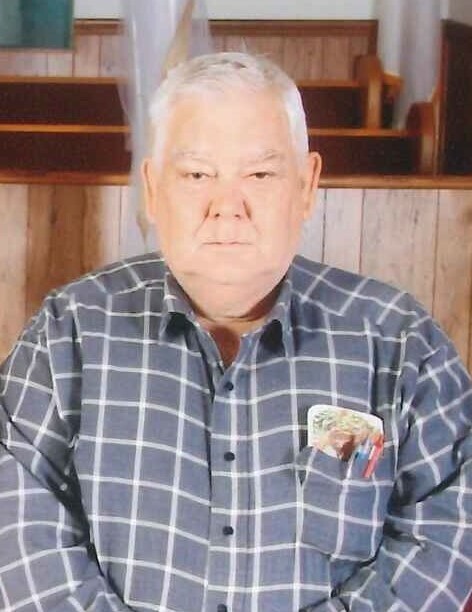 Archie “Matthew” Trent, age 73, of Morristown, went home to be with the Lord on Friday, April 12, 2019 at Morristown-Hamblen Healthcare System. He was saved at an early age and was a member of Friendly View Baptist Church. He played the guitar for the Lighthouse Singers and loved to serve the Lord. He was blessed with a large and loving family and loved his children very much. Everyone he met loved his sense of humor and he never met a stranger. He was preceded in death by his parents, James Ben Helton; mother, Mary Delcia Helton; step-mother, Mary Jane Trent; brothers, Allen, Waylon, Delano, and Dale Trent; father and mother-in-law, Lonnie and Bonnie Seals; and grandson, Skylar Trent. He is survived by his wife, the love of his life, Brenda Trent; sons, Travis, Mark, Christopher (Kathy), Dale (Darlene), and David (Loretta) Trent; daughter, Cindy (Michael) Jarnigan; fifteen grandchildren; twenty-one great-grandchildren; special great-granddaughter, Chloe; sisters, Shirley Lawson and Linda Trent; brothers, Kenny and Keith; and several nieces and nephews. The family will receive friends from 5 – 7 p.m. Sunday, April 14th at Westside Chapel Funeral Home. Funeral services will follow at 7 p.m. with Rev. Justin Winstead and Rev. Lowell Welch officiating. Family and friends will meet at 10 a.m. Monday, April 15th at Seals Cemetery in Sneedville for graveside services. Arrangements by Westside Chapel Funeral Home in Morristown.